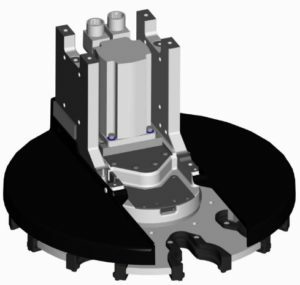 We offer tool changer carousels from 6 to 24 positions for our OEM customers. We can supply the entire package — Servo, Servo drive, Cable (10m) and Carousel — for integration in your plant. Available in HSK63F and ISO30, these robust units can save you time and money by letting us design and build them for you! We also stock a comprehensive selection of rack-mount tool forks in just about any ATC size as well as accessory tools, nuts, collets and pull studs.